VALLEY ORTHOPAEDIC SPECIALISTS (Fairfield) - Book Appointment Online! 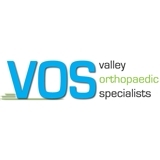 VALLEY ORTHOPAEDIC SPECIALISTS Valley Orthopaedic Specialists is a full-service orthopaedic practice dedicated to complete musculoskeletal care. With both general orthopedic surgeons and fellowship-trained specialists in total joint replacement, foot and ankle surgery, hand surgery, pediatric orthopedics, and sports medicine, we are the areas most comprehensive orthopedic surgery practice. Getting hurt is painful enough. Our practice is dedicated to treating you with the highest of care. Our highly-trained staff makes a special effort to ensure that your office and surgery experience are as pleasant as possible. VOShas on-site X-Ray imaging to simplify and expedite your care, and our physical and occupational therapists are ready to assist in your pre- and post-operative rehabilitation needs. Orthopaedic Surgery is the branch of medicine that deals in all facets of evaluation, treatment and prevention of musculoskeletal injuries and conditions. We work on treating musculoskeletal problems resulting from birth, abnormal development, overuse or injury. Although we are trained as orthopedic surgeons most of the conditions we treat can be helped without surgical intervention. We offer onsite diagnostic x-rays, physical therapy, injections, casting and bracing services. He is a good doctor. He allways listen everything I have to say about my sicknes.